The story is familiar by now: for decades a complicated legacy of corruption, cumbersome bureaucracy and political upheaval has dogged Ukraine’s economic ascent. The country possesses a range of diverse and potentially lucrative sectors, yet has staggered behind its regional neighbours due to internal complications and now conflict. In the past three years, however, the former Soviet state has enacted more reforms than ever before in its history, with the goal of improving transparency, law enforcement and economic growth. Ukraine has risen in the World Bank’s Doing Business ranking from number 152 in 2012 to number 80 today. These are crucial steps, according to many of the stakeholders in the country’s business landscape – but as with any country facing such seismic change, there remains more work to be done. Looking at the fundamentals, Ukraine offers enticing investment opportunities across a number of sectors including agriculture, IT, ports and shipping, energy, healthcare and manufacturing. Human talent is abundant and labour costs are low. Yet a survey of corporate executives by international law firm Kinstellar found that 82% of respondents view Ukraine as a difficult place to do business, citing political risk, security risk, corruption and regulatory risk as their top concerns. Fear of political instability due to the war with Russian-backed separatists in the east of Ukraine deters many investors, and a complex regulatory environment can lead to substantial delays in basic processes such as applications and licensing. Many in the business community, however, cite recent government reforms as reasons for optimism. “Ukraine has done an incredible amount in a very short period of time – with the police, with judicial reform, with anti-corruption,” says Lenna Koszarny, CEO at Horizon Capital. “More has been done in the past two-and-a-half years than in the 20 years preceding. Clearly, when a country hasn’t pursued structural reforms for 23 years, there is a lot to do. The process has just started.” Her firm is Ukraine’s largest private equity fund, and has invested more than $500m in Ukrainian and regional companies to date. Among Ukraine’s reforms are: three anti-corruption bureaus established in 2015 for prevention, investigation and prosecution; an electronic system for asset and income disclosure that has led to the resignations of thousands of public servants; a public e-procurement system meeting World Trade Organisation requirements; decentralisation allowing more financial resources to local regions; banking sector and judicial reform; secured macroeconomic stability; a reduction of personal and payroll taxes; and the start in late 2016 of a government effort to repeal hundreds of outdated regulations on taxes, customs, and foreign exchange restrictions. “The biggest reform of the past three years is decentralisation, which was fundamental because it broke the Soviet vertical of power where all decision making and finance was held at the top,” says Daniel Bilak, a director at UkraineInvest, the national investment support agency founded in November 2016. Arguably Ukraine’s best asset is its human talent. Of its 45 million inhabitants, 70% hold a secondary education degree or higher and, according to the World Economic Forum, Ukraine produces 130,000 engineering graduates per year – the most in Europe – and is ranked number one for IT engineering in central and eastern Europe (CEE). The countrys IT sector generates about $3bn annually. Labour costs are also among the lowest in the CEE region; the average monthly salary is $179, according to 2015 figures, significantly below the regional average. “I’ve been here 10 years, and what Ukraine has to offer is a solution for Western countries facing a shortage of IT personnel,” says Hans Uithol, CEO of Dutch professional services company HYS Enterprise, which runs all its operations from its 150-strong team in Ukraine’s port city of Odessa. “It’s not about money; it’s about the availability of people,” he adds. More than 100 international companies operate software R&D labs in Ukraine including BMW, Volvo and IBM – Samsung alone employs 1000 Ukrainian engineers for its research projects. IT outsourcing sales have grown twentyfold since 2003, and represent 40% of all Ukraine’s exports to the US. All of this has happened despite a lack of dedicated infrastructure supporting tech entrepreneurs, says Bohdan Kupych, vice-president of business development at Kiev-based tech holding company KM Core. “There is no access to capital for entrepreneurs. It’s boot strapping, family and friends’ money… that’s where we work.” KM Core has invested about $100m in several tech projects in Ukraine. “We help companies get started to the point where they can attract additional investment,” he adds. “There are some start-ups that manage to gather capital, but once they enter the growth stage they’re forced to look outside the country,” says Yuri Warczynski, co-founder of HYS Enterprise. “That is a disadvantage for Ukraine, but also an opportunity for venture capitalists, for angel investors, for anybody ready to invest in start-up accelerators here in Ukraine.” Notably, the founders of WhatsApp and PayPal were both born and raised in Ukraine but found success in the US. Despite the apparent hurdles left by decades of mismanagement, Ukraine’s fundamental strengths have provided significant returns for those committed to navigating the country’s investment landscape. “Having discussed the current problems, there are in fact a lot of companies here that have made a lot of money,” says Mr Bilak. Many of those successful companies are in agribusiness, one of Ukraine’s most lucrative sectors – the country holds 33% of the world’s black earth soil, considered the most fertile for agriculture, and its land bank is capable of feeding 500 million people. More than 70% of Ukraine’s territory is agricultural land, valued at more than $100bn, and the country is the world’s top exporter of sunflower oil and the third largest exporter of corn. The agriculture industry has grown by 14% a year since 2003 and constitutes 38% of all Ukrainian exports. US-raised Ukrainian John Shmorhun, CEO of AgroGeneration, represents just one of these success stories. Founded a decade ago, the company employs 1400 people across 12 farms in Ukraine and produces 400,000 tonnes of crops per year. He says land reform is the biggest issue for agricultural investors – something Mr Bilak says is under discussion, as large companies in the sector face complex land ownership laws and cannot own the land on which they work. “Land reform, pension reform and public administration reform – those are the three big reforms being worked on right now,” adds Mr Bilak. 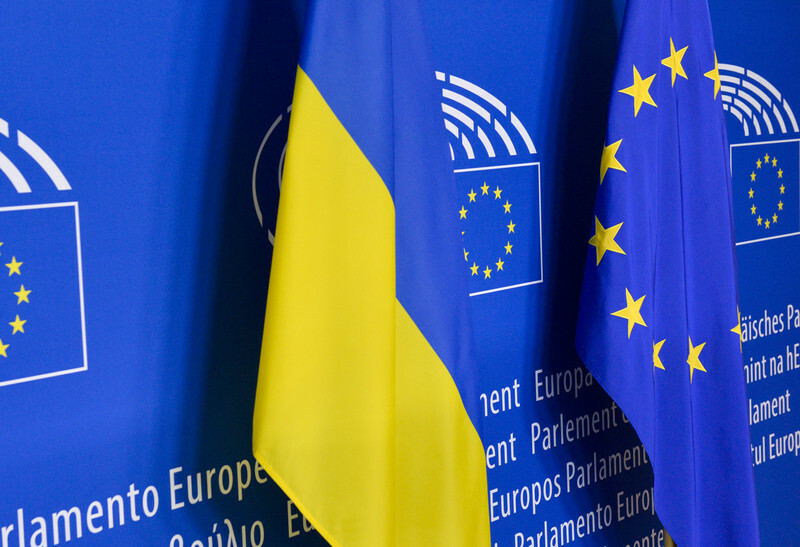 Ukraine is bordered by seven countries, four of them in the EU, and its infrastructure offers connections to key central and western European markets – many of its manufacturing plants are already integrated into European and global supply chains. Thirteen seaports, 170,000 kilometres of roadways, 22,000 kilometres of railways and more than 20 passenger airports support an export-oriented economy, complemented by Ukraine’s Deep Comprehensive Free Trade Agreement with the EU, which lifts tariff and non-tariff barriers for Ukrainian exports. The ports and shipping sector is vital to exporting the country’s agricultural produce, yet according to the State Property Fund of Ukraine (SPFU), 70% to 90% of the ports’ infrastructure is outdated. FDI is essential to upgrading the ports to boost exports. This endeavour is complicated, however, by the country’s privatisation regime. It has 3500 state-owned enterprises, and so far, ports are not up for privatisation, says Andriy Gaidutskiy, SPFU’s deputy chairman. Multinationals such as Cargill and ArcelorMittal therefore develop the ports, investing in projects including grain terminals and logistics, on a concession basis. TIS Group of Terminals in Yuzhny, 27 kilometres east of Odessa, is Ukraine’s busiest maritime hub, operating five maritime terminals for ore, coal, fertilisers, grain and containers. “There is definitely a reason to do business in Ukraine,” says TIS CEO Andrey Stavnitser, citing Ukraine’s global standing as an agricultural producer. “Yuzhny is the deepest port in Ukraine, which makes it perfect for large-scale commodity trade. TIS has invested in excess of $500m in maritime and land transport infrastructure, and now Yuzhny is the third largest port in the whole Black Sea,” he adds. “Despite all the bureaucratic challenges, a private business of brick and mortar such as TIS works under international standards and can provide its partners with flexible and reliable services,” says Mr Stavnitser. The government is forming new concession legislation, and assets from ports to power plants are being prepared for concession or privatisation with the help of international consultants. “The process is moving forward – not too fast, but it definitely is. Moreover, existing ports will also be open for large-scale privatisation, which is another reason to consider Ukrainian reforms seriously. I stress that private business is driving all the positive changes – and does this efficiently and promptly, pushing the government for faster and more efficient solutions as needed,” adds Mr Stavnitser. Numerous other sectors in Ukraine present investment opportunities, among them energy – with everything from oil and gas exploration to coal, where French ArcelorMittal has invested $170m into a coke plant in central Ukraine, to renewables, where Turkish Atlas Global Energy has invested $20m into a wind farm in western Ukraine. Two hydropower plants were privatised in 2016, with more planned for this year. “The biggest reform we are seeing is a change of mindset, especially in many government officials,” says Andy Hunder, president of the American Chamber of Commerce in Kiev, which represents 600 companies. “There is a lot of resistance – we’re seeing a clash between old and new. The new people, especially over the past three years, are coming in and they want change. Things are moving, albeit slower than we would like, but we have hit rock bottom and now we are climbing out.